A new rye cultivar for grazing, hay and grain production. • A winter cereal used extensively throughout South Africa. • Widely adapted to most soil conditions and prefers sufficient rainfall. • Is planted in rows (30-45cm) at 25-40 kg/ha. 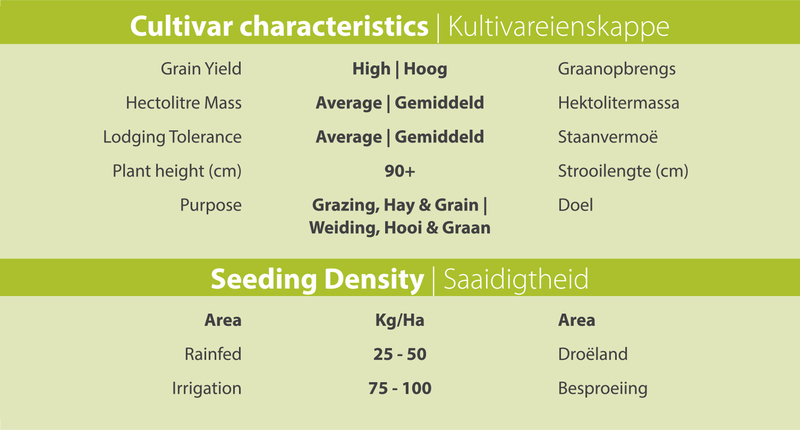 Can be broadcast at 50 kg/ha and under irrigation at 75-100 kg /ha. • Planting time is from April to May in the summer rainfall region.